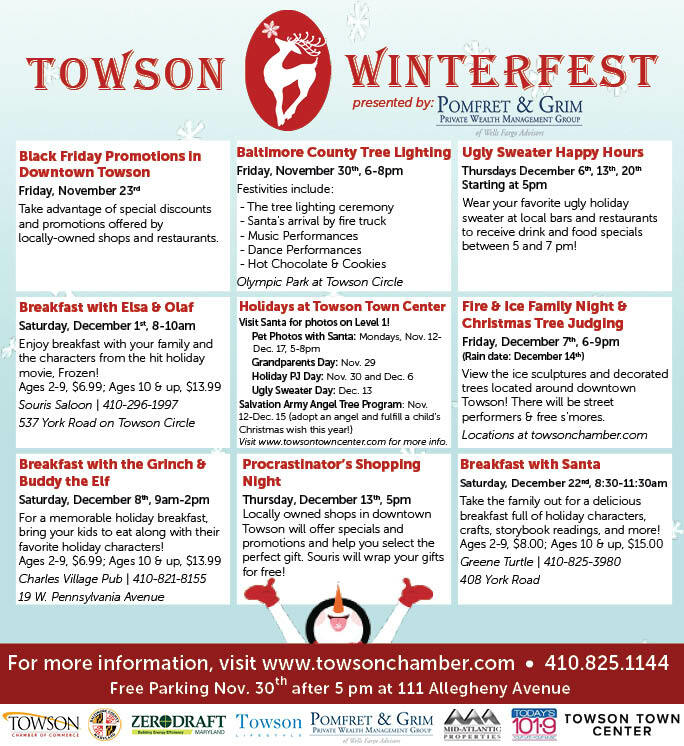 It's the most wonderful time of the year...time for Towson Winterfest! 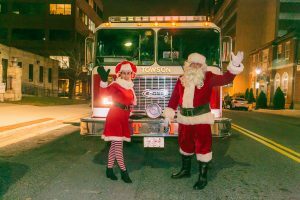 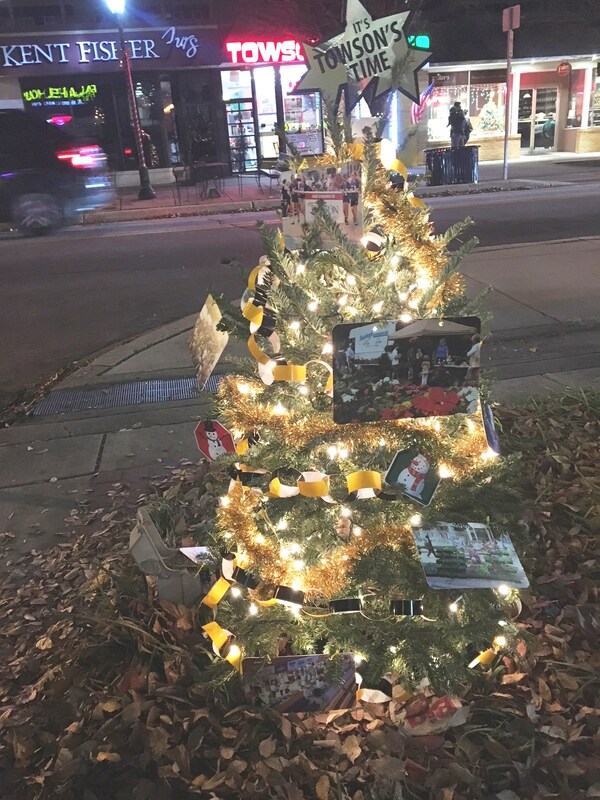 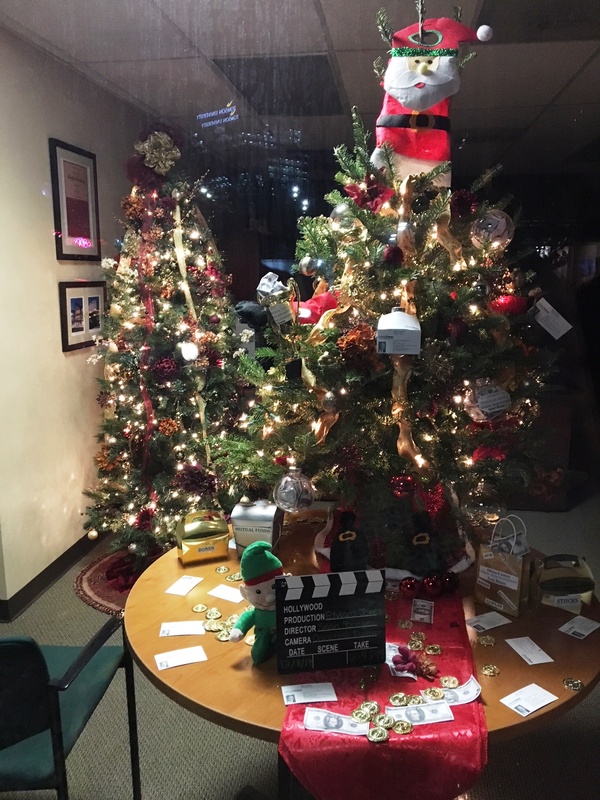 From the Baltimore County Tree Lighting and breakfasts with your favorite holiday characters to Ho Ho Happy Hours, there's something for everyone in your family. 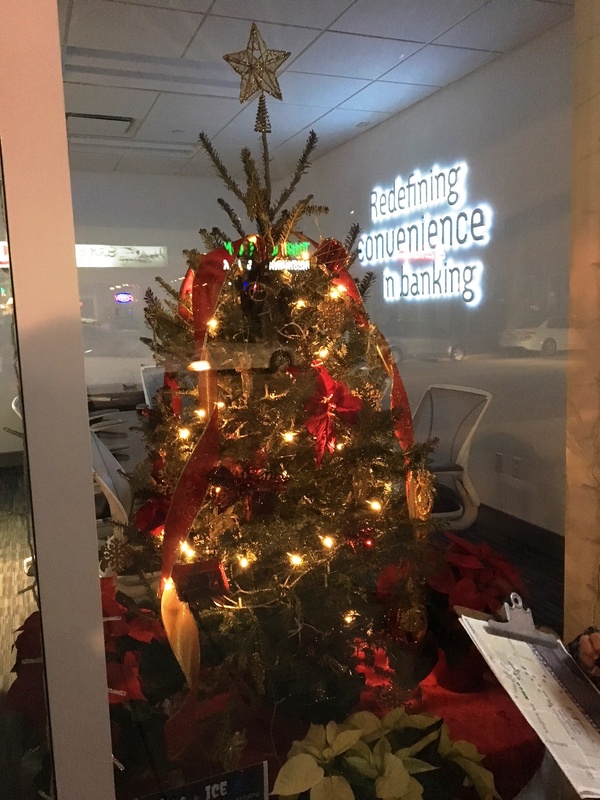 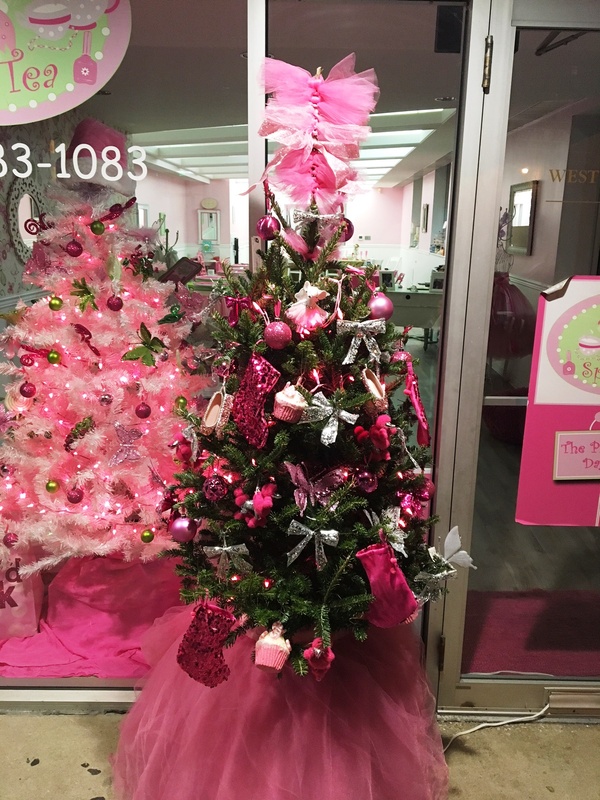 Happy Holidays from the Towson Chamber of Commerce!